By combining metrics, online tools and commonsense, you will recognize which influencer is best positioned to boost your brand. While influencer marketing can obviously be highly effective, finding the right influencer is key. This post will outline five strategies you can use to identify the perfect influencer for your business. With its dramatic rise in popularity, it's no surprise that there are now many tools that can help automate the process of influencer identification. 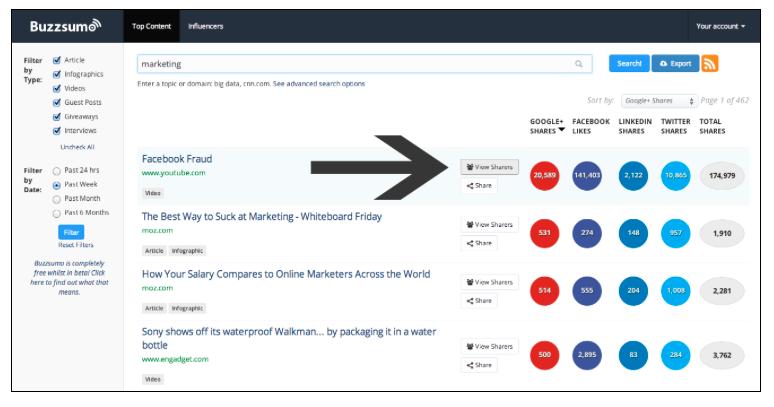 One of my favorites is BuzzSumo. Not only can it help you identify key influencers based on keywords, you can filter them by date, location and type of influencer (blogger, journalist, company, etc.). A particularly useful aspect of the tool is the "View Links Shared" tab. If you've found an influencer that looks like a good fit, use this feature to identify links he or she has recently promoted. This will give you a better idea of the types of content they typically share, and how well that content performs. 2. Ask yourself: Who would I trust in this industry? Fans, followers and subscriber counts are key metrics to consider when looking at different influencers. However, they're only one piece of the puzzle. 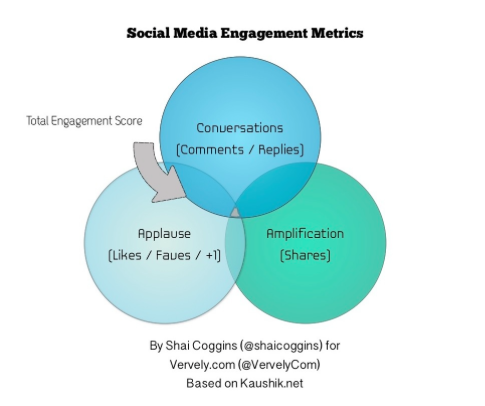 According to Vervely, the three key elements of social media engagement are: conversations (comments/replies), applause (lives, favorites, etc.) and amplification (shares). When applying this to influencer marketing, I would also ask questions like what kind of reach do their posts or tweets typically get? What about email opens and clicks? What kind of conversion rates have they typically achieved in similar campaigns? Do people seem to actually be interested in and engaged with what they has to say? Do they actually respond to questions they have been asking on social media? Just like number of fans and followers can't always predict reach or level of influencer, past engagement can't necessarily predict the success of your campaign. Relevance is a vital aspect of choosing an influencer, but one that can't be defined by any specific metric. Some questions to ask yourself include: Does my audience know and trust this person? Has she successfully promoted similar products or brands before? Is he generally known as an expert in this field? Do her audience demographics line up with my own? Follower count and reach are one thing, but you also need to know if the people who will be reached are likely to buy your products. Asking the questions above will help you figure this out. Influential: A personal favorite that I've worked with since the start. I later became an advisor to this company. IZEA: One of the largest marketplaces, and has reasonable rates for smaller businesses. TapInfluence: Specializes in providing software to help automate your influencer marketing. Their base rate is $1,999 per month, so not a reasonable option for small businesses. Tribe: Marketplace that specializes in Facebook, Twitter and Instagram influencers. The nice thing about Tribe is it's free to sign up and browse their database of influencers. You only pay if you purchase a campaign. While these marketplaces can help streamline the process of finding an influencer, keep in mind you'll still need to identify which influencers are the best fit for your business. This will mean using all the strategies listed above. The success of your influencer marketing campaign rests squarely on the influencer you choose. A bit of research up front can save you from choosing one who won't help you achieve your goals. The five strategies above will help with this.